The header and footer regions are site-wide elements which means they are displayed on every page of your site. 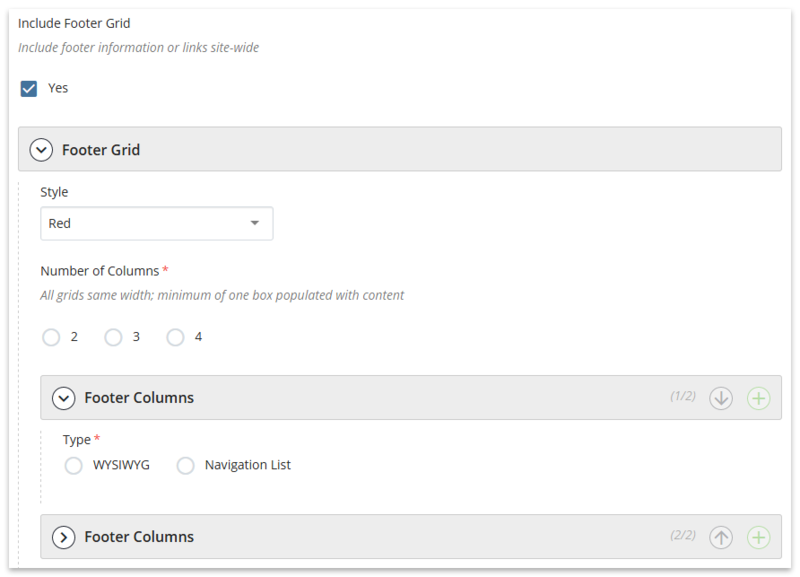 If you are starting with a brand new site, configuring the header and footer regions is the first thing you'll want to do. 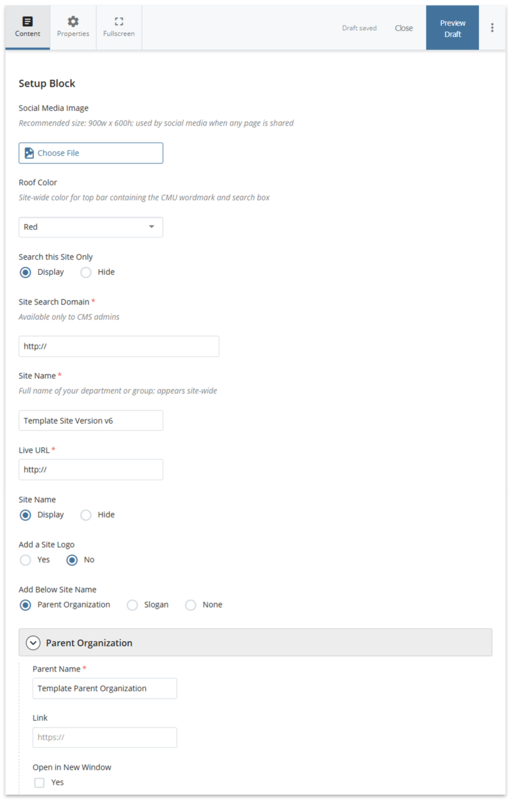 The header and footer regions are configured in the Setup Block located at the base level of a site. 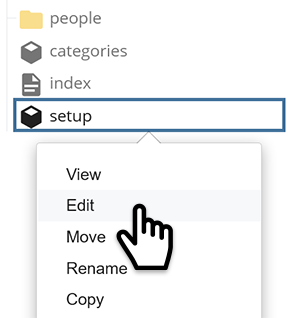 To edit, select setup in the asset tree and click Edit in the Action Toolbar, OR Right-click on it > Edit. 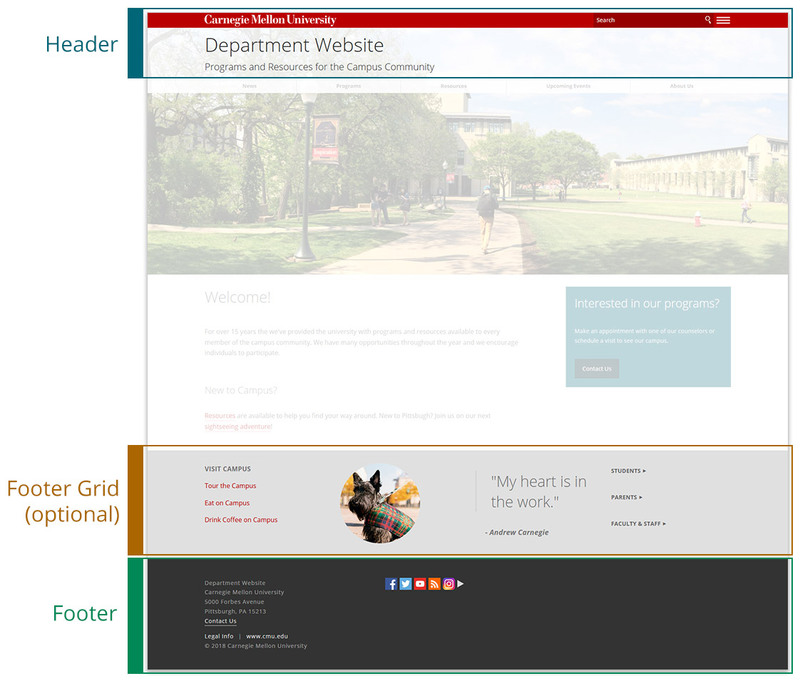 The header and footer regions of a site. The header appears at the top of every page. 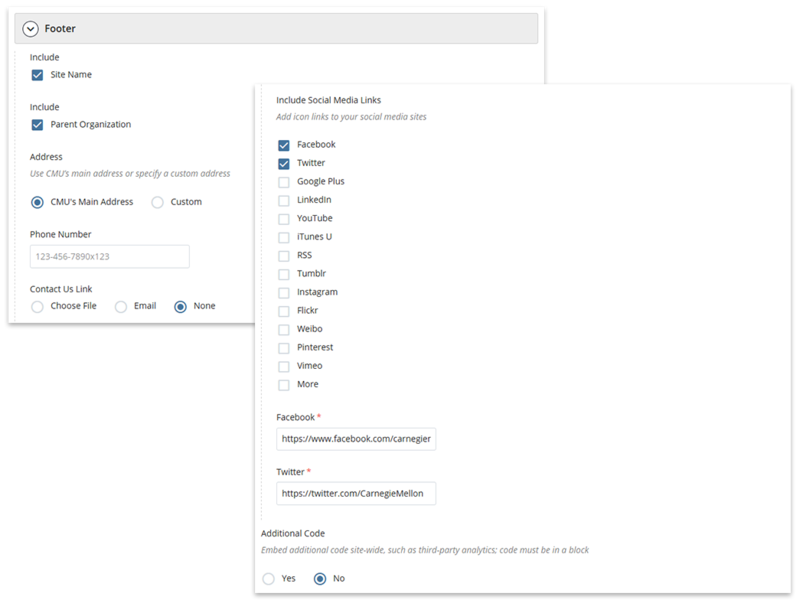 Social Media Image (optional) - Displayed when a page on your site is shared on social media. Choose File to browse and select an image. The optional footer grid appears near the bottom of every page immediately above the lower footer. Optional footer grid in the edit interface. The footer appears at the bottom of every page. Footer in the edit interface.